I’m really late getting this out–I’ve got to do better but the time just seems to fly. We departed Nashville in a blaze of heat but by Monday morning the weather was getting a little chilly in Evansville. The winds were really blowing too. Somer and I went out on a short run and the wind along with the stiffness from Saturday’s half marathon turned an easy run into a not so easy run. We kept the pace down and ran only about 2.5 miles. Since we were going to run another half marathon none of us wanted to push it during the week. The weather got a little colder every day. I drove to Versailles, KY for a couple of days to visit my mother and sister. 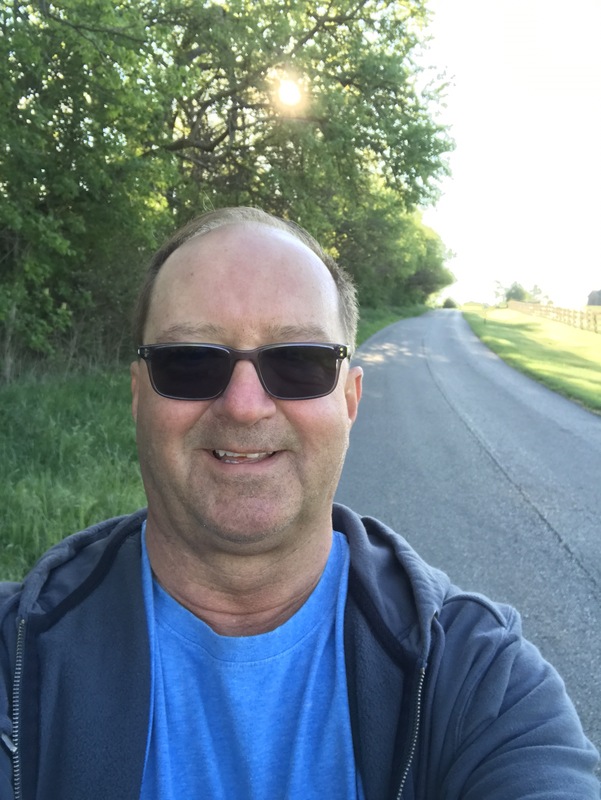 I didn’t do any running but I did go for a little walk on Wednesday morning before heading back to Evansville. 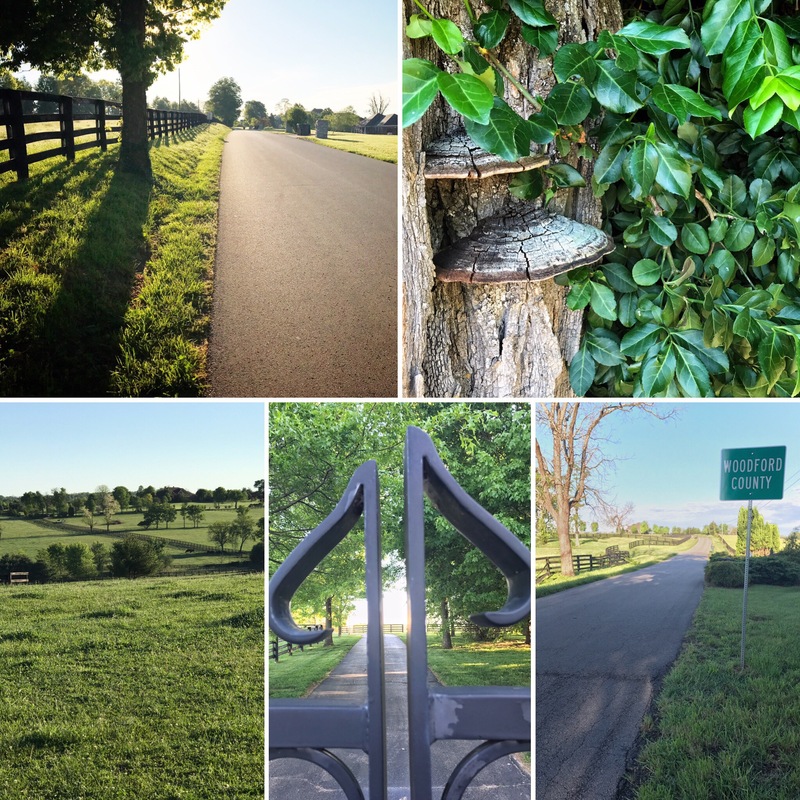 Kentucky horse country is so beautiful so I had to take a few photos along the way. I would have like to have gone on a run while I was there but there are so many hills around my sisters house that I felt like I should take it easy and just go out and walk to stretch my legs and get some fresh springtime air. After my walk it was time to get cleaned up, go out for a little lunch and then hit the road back to Evansville. It was good to see Mom and sis again but the stay was short. Oh yeah, I got to have chicken noodles with mashed potatoes too. Yeah, if you’re not from a small section of Indiana, Ohio, Kentucky you probably think eating two starches is crazy. This stuff is good! It’s carbo loading to the max for sure. Thursday and Friday in Evansville was even colder than the first few days. I wasn’t prepared for the chilly weather and the forecast for Indianapolis on race day was looking pretty bleack as well. They were calling for temps in the low 40’s and rain all morning. The percentage of chance of rain seemed to change every hour but it wasn’t looking good when I got up on Friday. But wait, it gets worse. I guess due to the chilly temps my muscles and tendons really tightened during the night on Thursday. 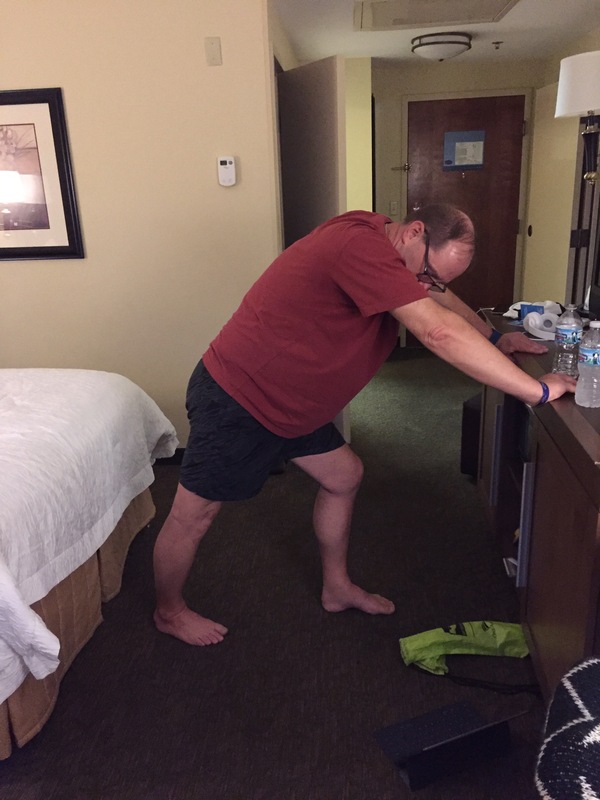 When I got up I had pain and tenderness in my right Achilles’ tendon. As the day went on, it only got worse. 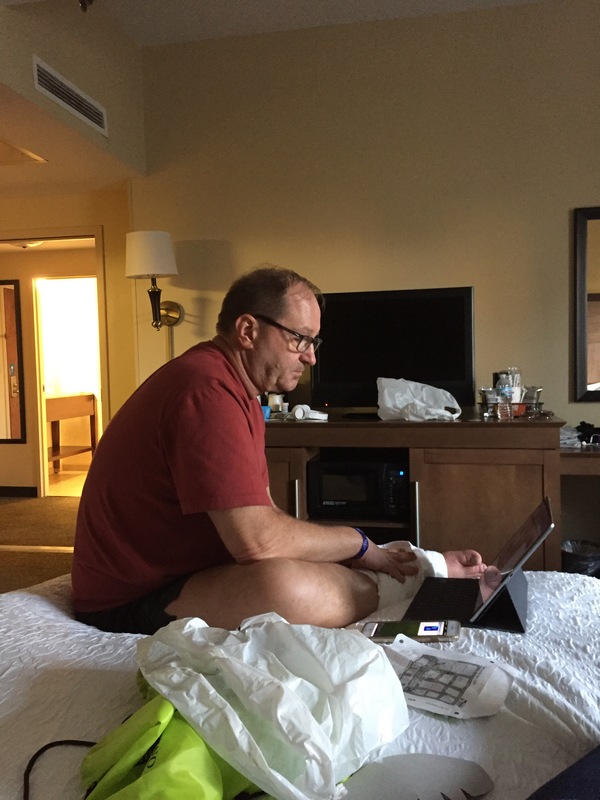 After the three plus hour drive to Indianapolis things seemed to tighten even more. I managed to move enough to get through packet pickup and dinner but it was painful. I spent the rest of the evening soaking my heel in hot water followed by massage, stretching and ice. I also took a double dose of Aleve. We were up early on Saturday morning and the pain and tightness in my right Achilles was even worse. At this point I wasn’t even sure I could make it a mile. I ate a light breakfast and swallowed a couple more Aleve. Our motel was close to the OneAmerica Mini Marathon start line so we didn’t have to get up quite so early and it was a short walk to our starting queue. Just before heading out I tried doing a little run up and down the hall of the motel. It felt better running than it did walking that’s for sure but it hurt! The temperature was in the low 40’s and we had a light drizzle which continued at our 8 a.m. start time. The forecast was for continued rain all morning. I had to change my foot strike to avoid some of the pain but by the time we hit the two mile mark my Achilles was feeling like it was loosening up. I was so focused on finding a way to continue that at first I didn’t notice the rain cleared out. By mile four, the sun was starting to shine! For this Georgia boy it was still chilly so I kept my top layer on as well as my glove but by mile five the gloves came off. Brian and Somer ran together and I was on my own. Somer wanted to use run/walk intervals so we pretty much took turns passing each other. I didn’t know it until after mile four that Brian had to stop for a potty break and I lost sight of them for quite a while. I wasn’t really sure what was going on. 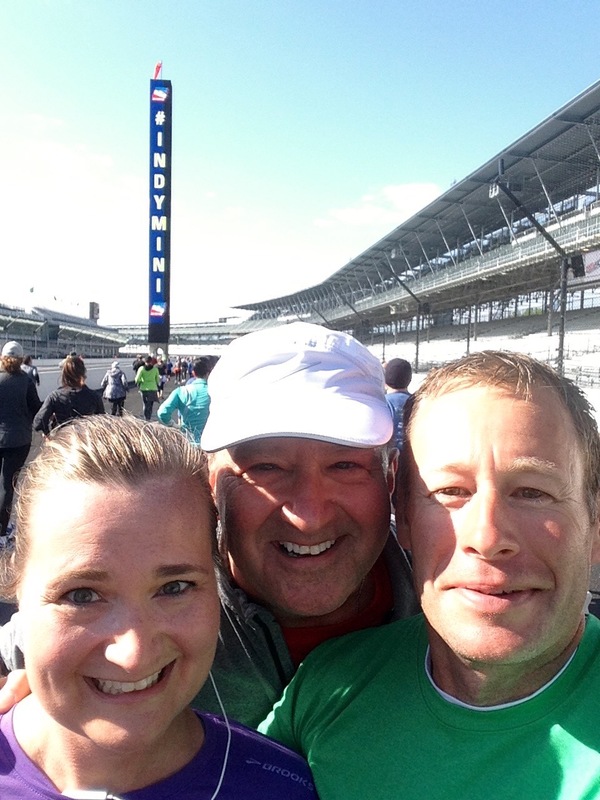 I entered the Indianapolis Motor Speedway at approximately the 5.5 mile mark. If separated, we agreed to meet up after turn four heading toward the main straightaway. I’m not sure how long I waited. Maybe two minutes before they caught up. 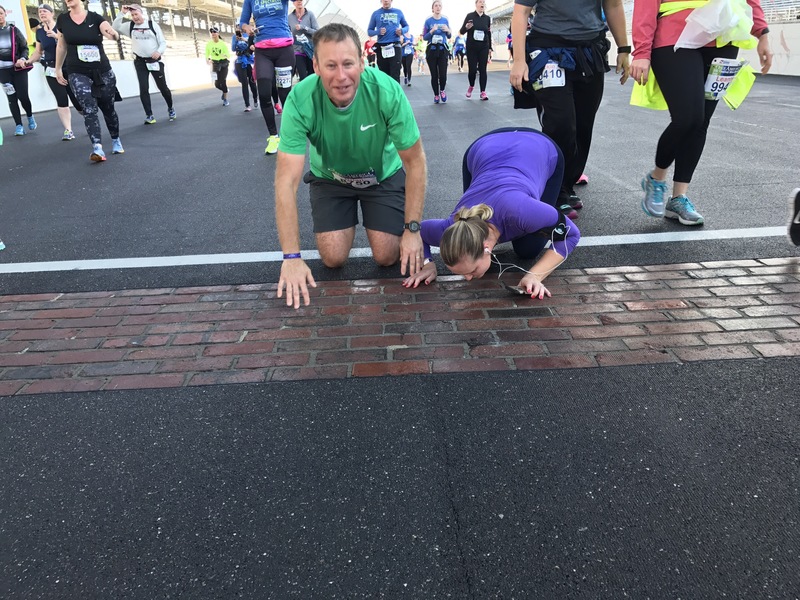 Right away we had to get some photos together and then head to the row of bricks to indicate the start/finish line. I don’t know how much time we spent taking photos on the main straightaway. I’m guessing 5-8 minutes. 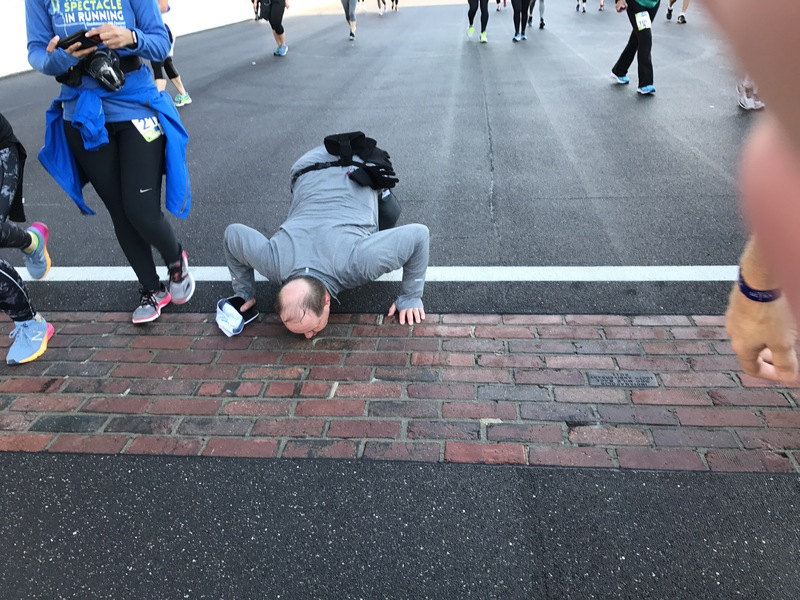 After kissing the row of bricks it was time to finish out the next five miles. As we left the track you could still thousands just making their way to the famous raceway. The first mile or two after leaving the track the course was a little tight and crowded. My right foot was feeling fine but I wasn’t going to push my luck. 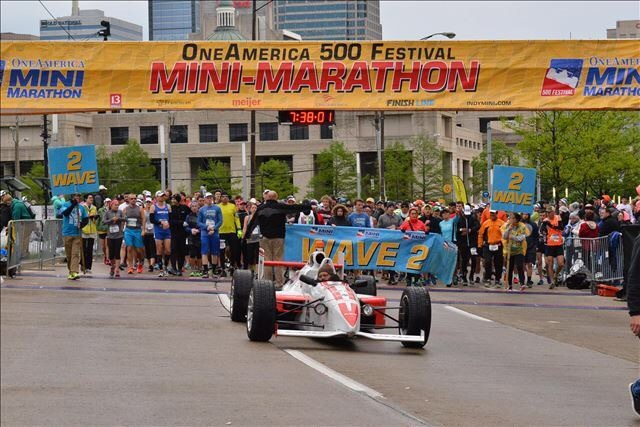 One thing about the Mini Marathon course is it’s very flat. It seemed weird to never be able to see very far ahead of you. I only recall one very small hill. Can’t remember where but I think it was around mile eleven. A very short hil and really didn’t take much extra effort. The last mile is pretty exciting. The crowds are larger and the shouts of encouragement seem to be much louder. Brian Somer and I stayed pretty close to each other during the last five miles. Once we got within site of the the finish we got together so we would finish at the same time. Our official chip time was 2:53:19. 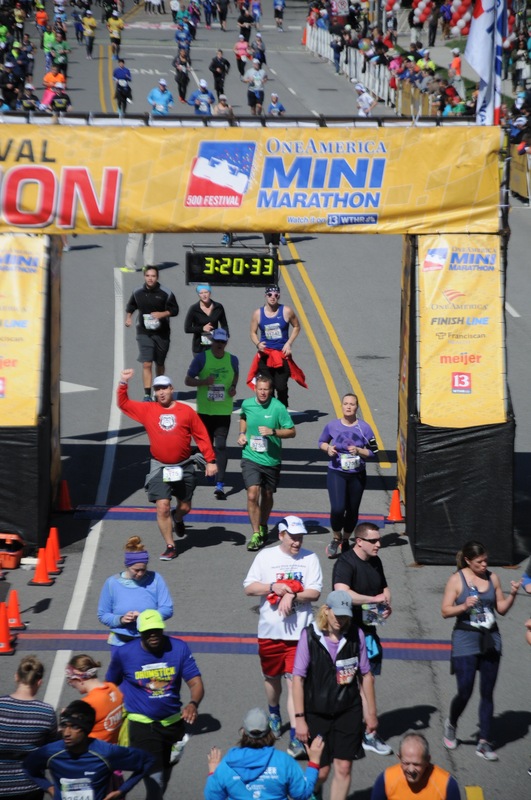 Considering how my Achilles felt at the start of the race I’m just happy about just finishing. Once we got to the finish and received our medals. I joked to Brian and Somer, “Where’s ESPN so I can annouce my retirement from half marathons?” I was only half joking because I really was thinking my half marathons days were over. 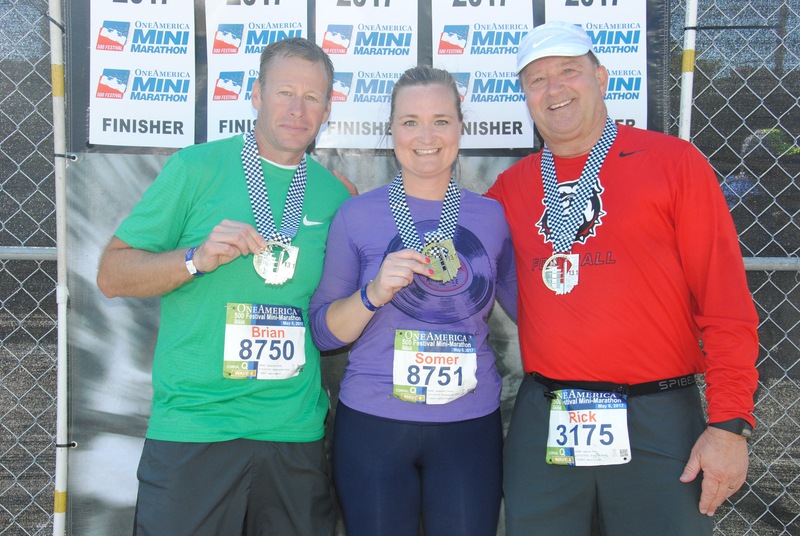 But after a few days of rest and some time to think about how much fun the course is, I went ahead and signed up to run the Indy Mini Marathon again next year! Curious. Are My Posts Showing Up Early? Whoops! Where Did the Time Go?